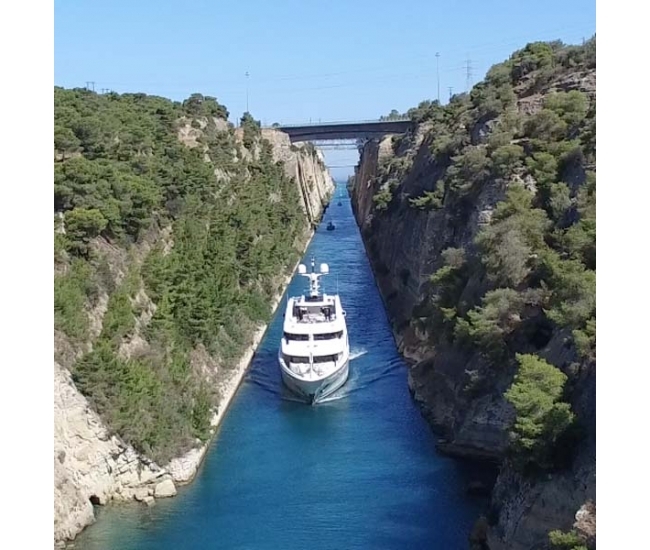 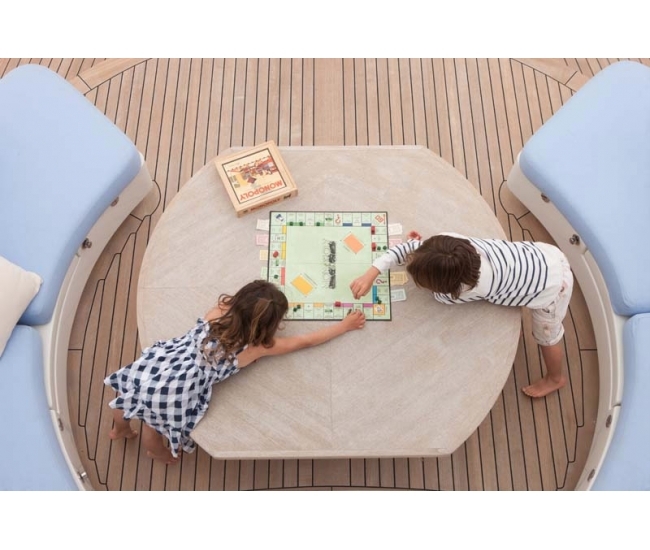 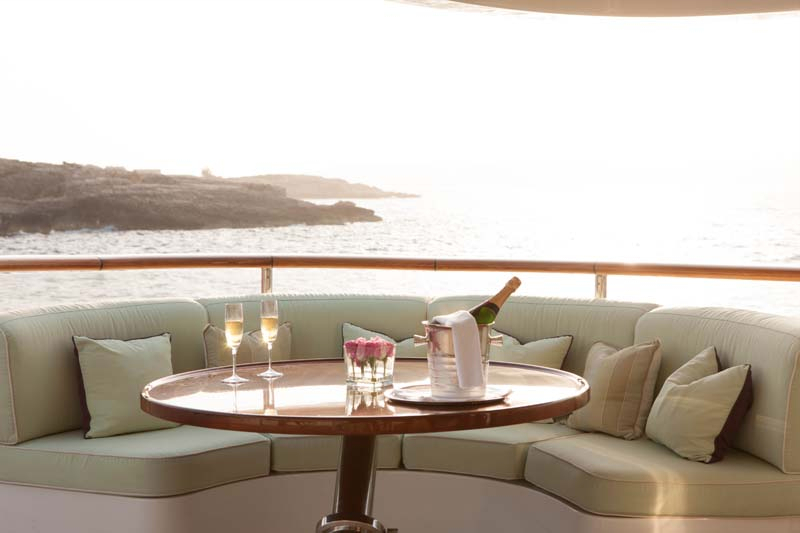 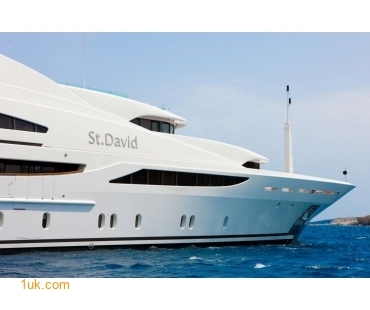 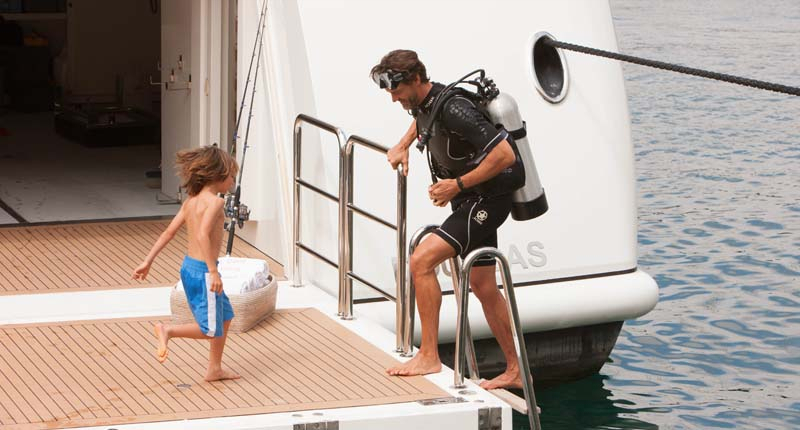 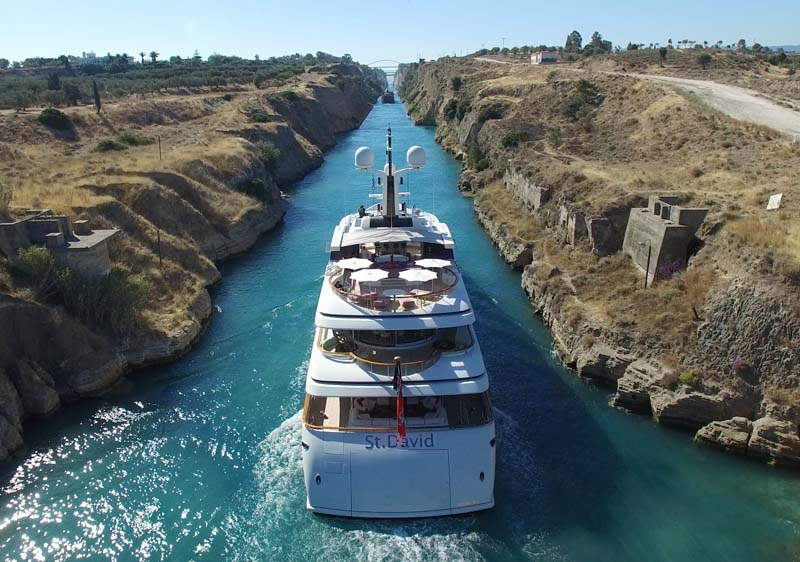 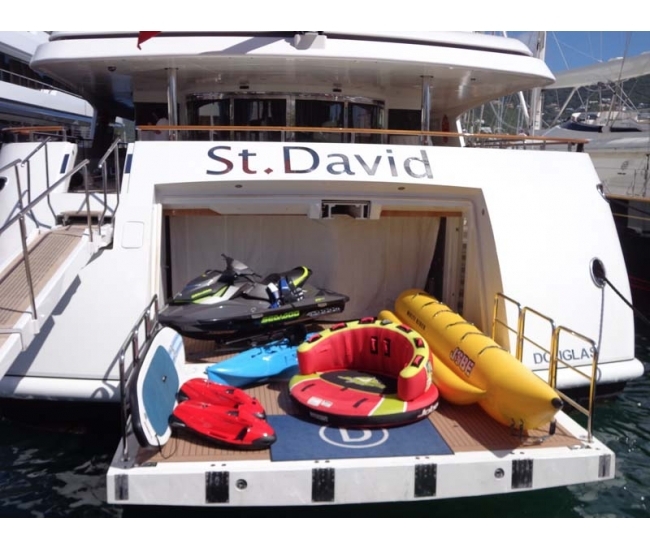 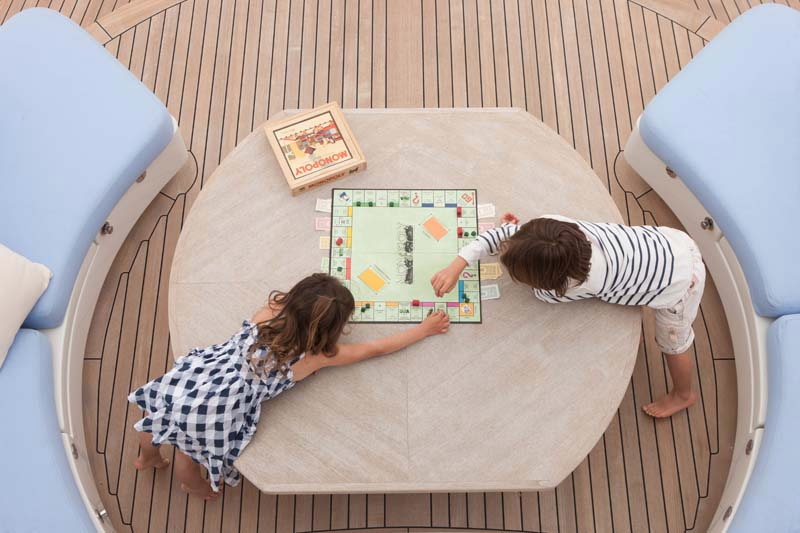 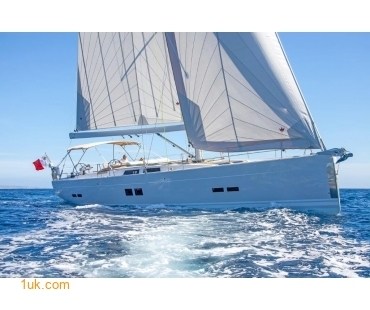 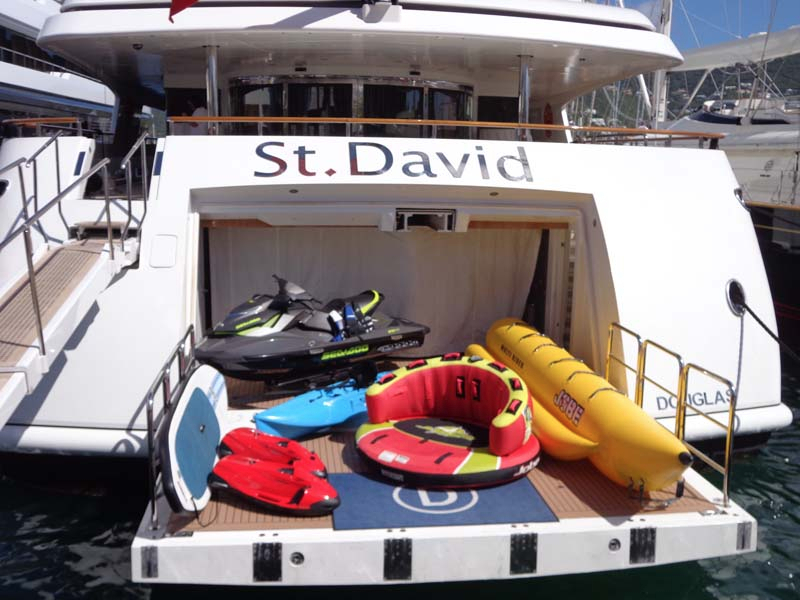 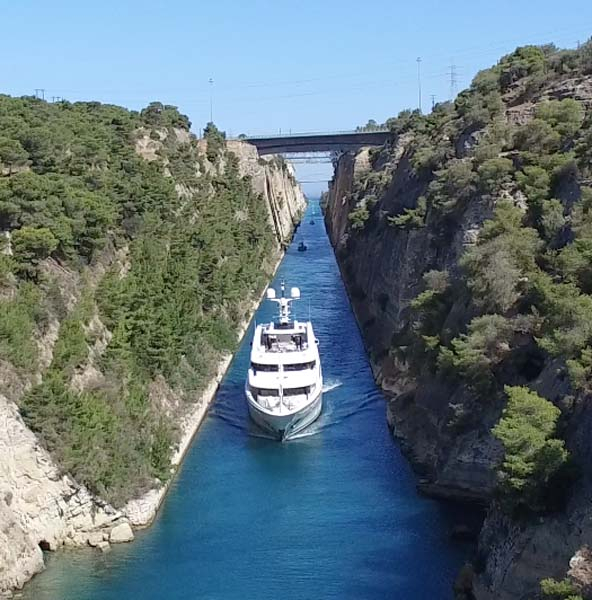 “Offering a stunning exterior space, superb volume and a flexible interior where all cabins other than the master can be twin or double, St. David is the perfect choice for family getaways, corporate events or picturesque cruising in the Mediterranean seas”, Paul Thompson, managing director at 1uk.com. 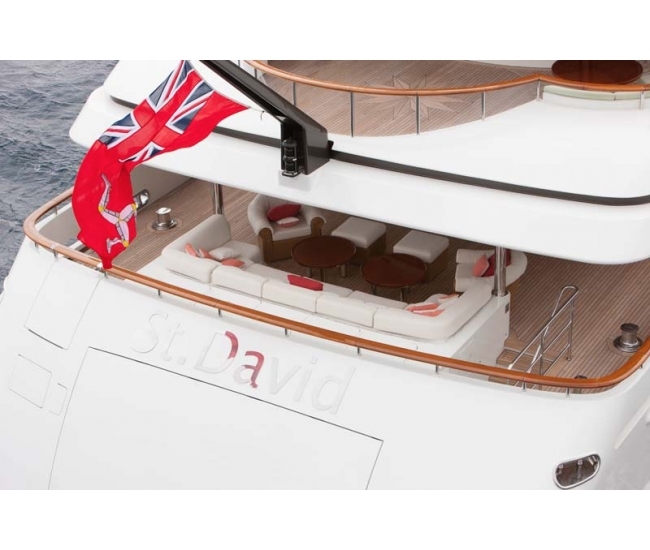 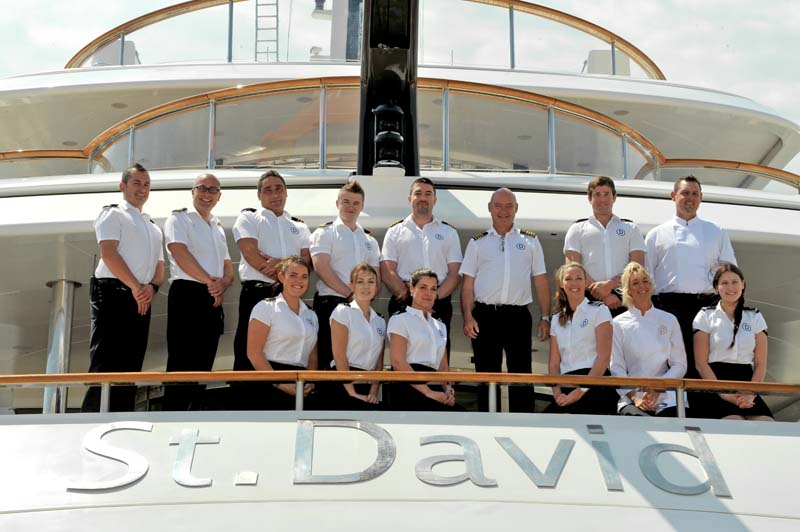 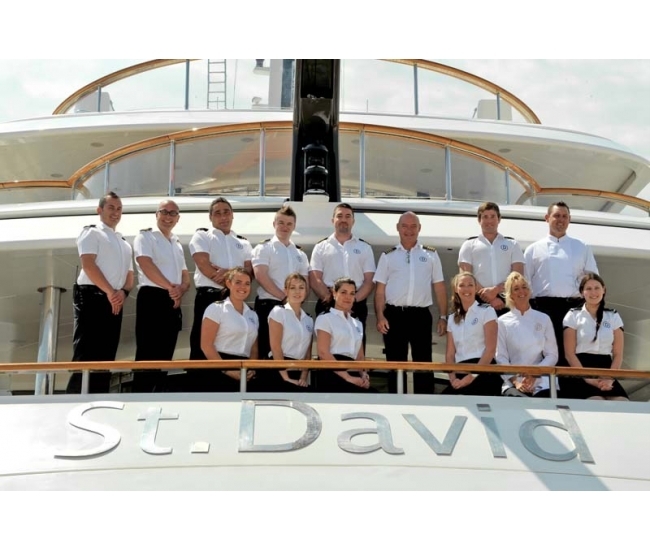 St. David has just finished an extensive winter refit to provide maximum versatility and operational efficiency. 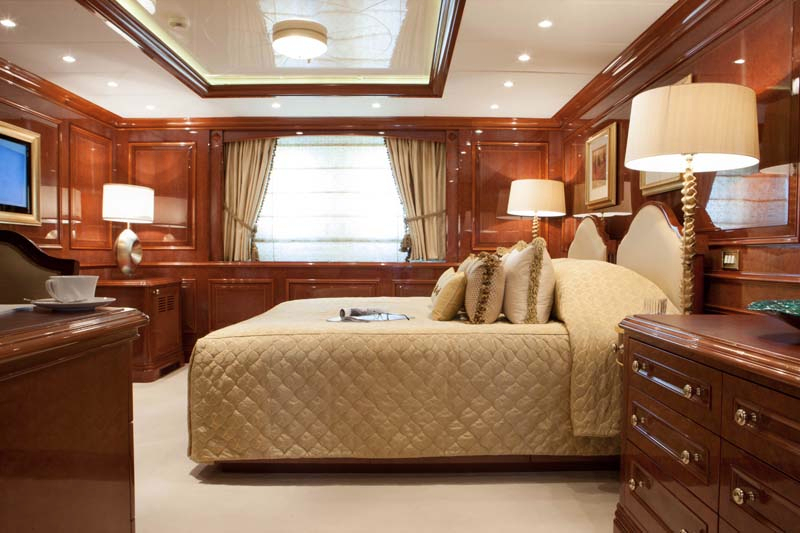 Boasting a full yacht and tender paint, all new glass, polished interior marble and fresh varnish work, renewed sundeck cushions covers along with a new exterior marble countertop and additional extensive technical work, no expense was spared when her owner set out to update the ultimate superyacht for luxury cruising. 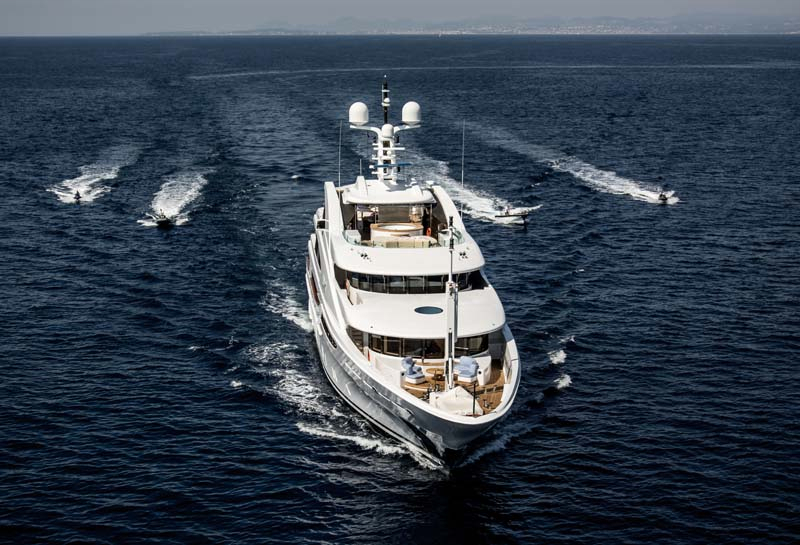 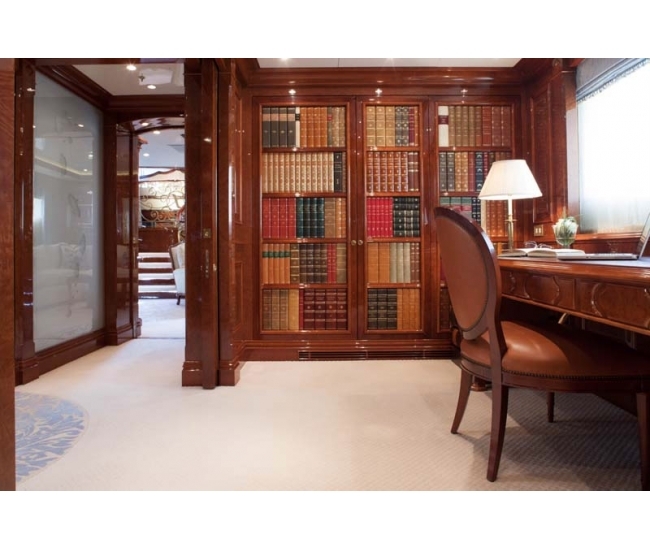 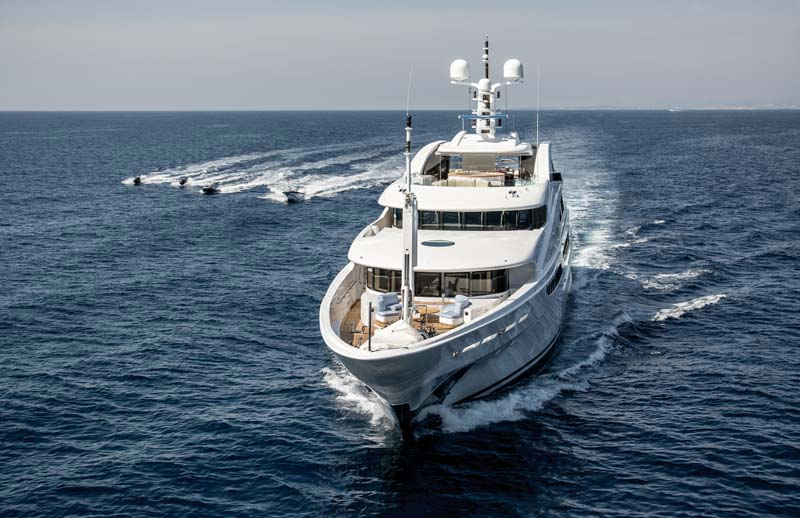 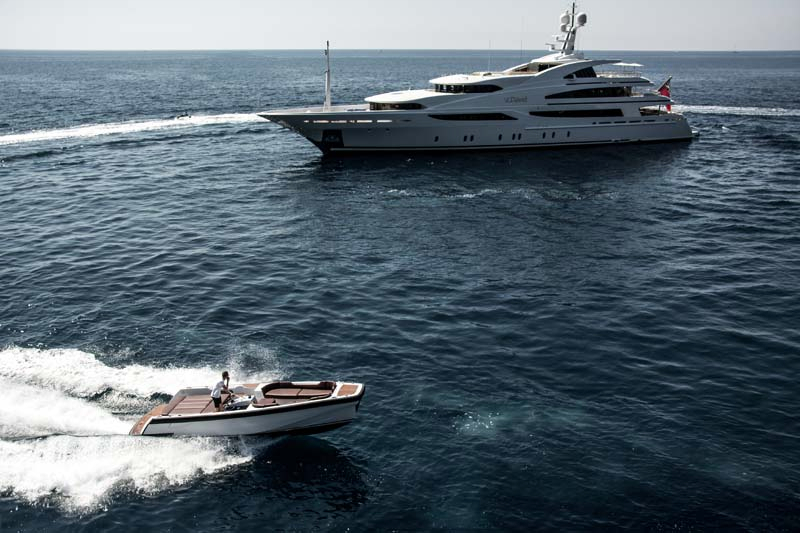 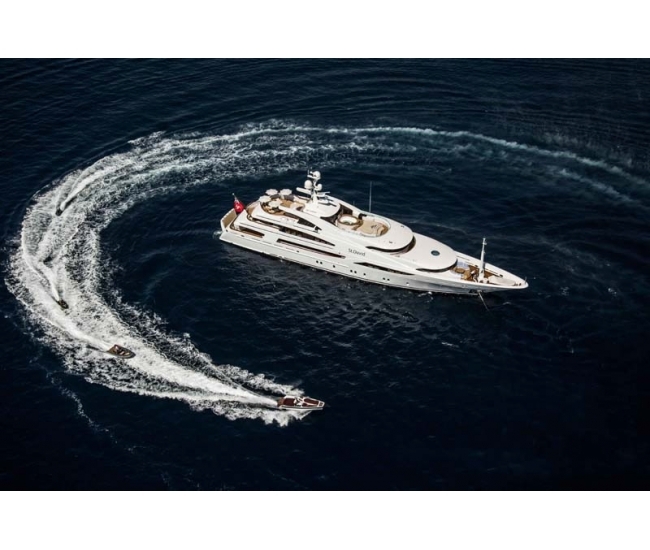 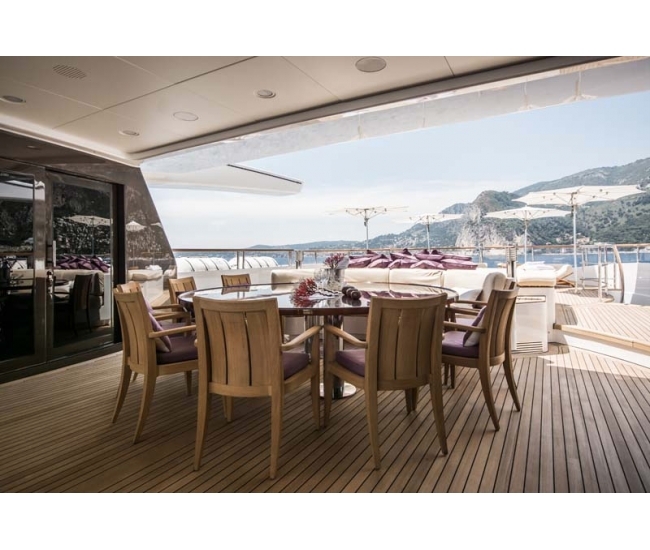 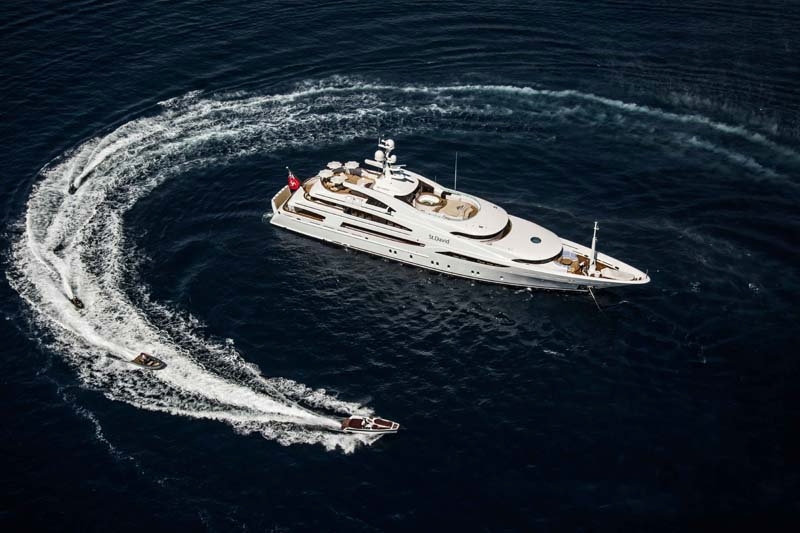 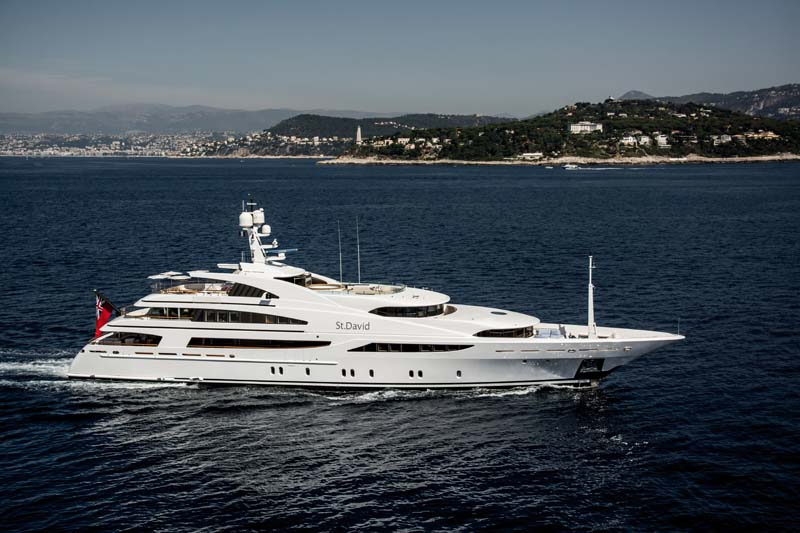 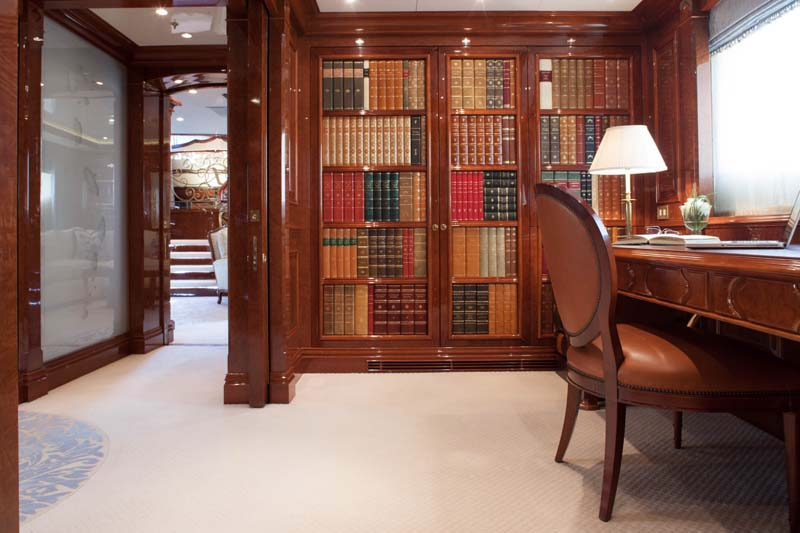 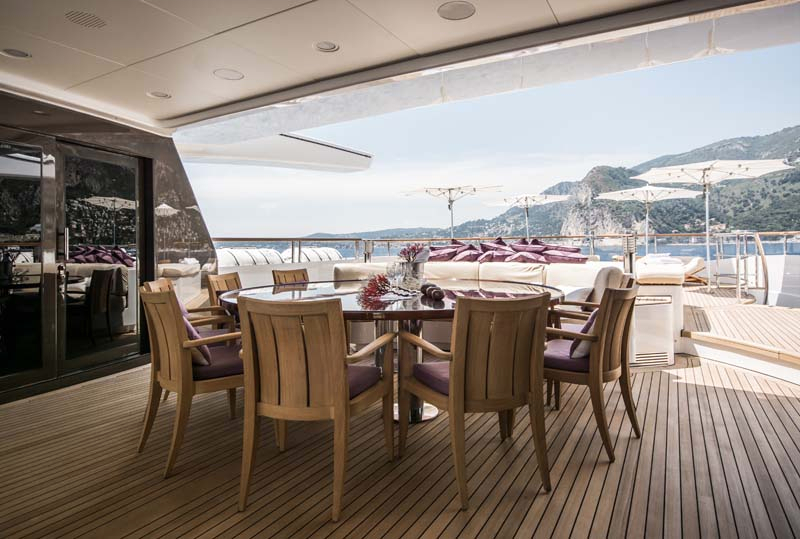 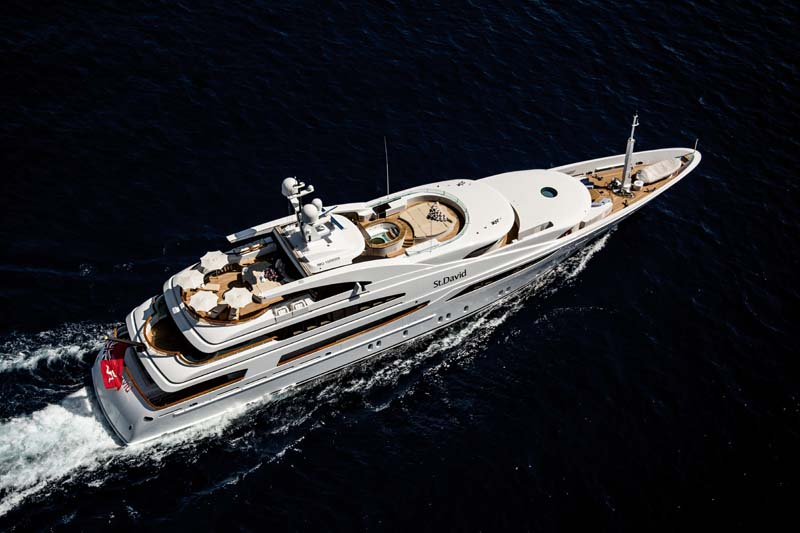 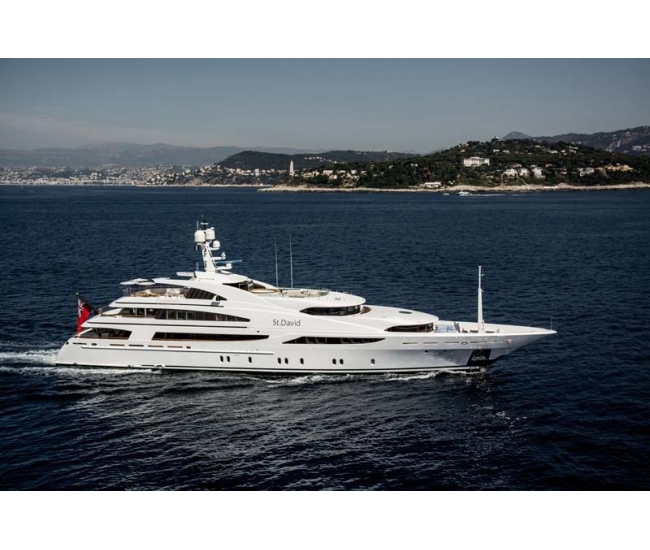 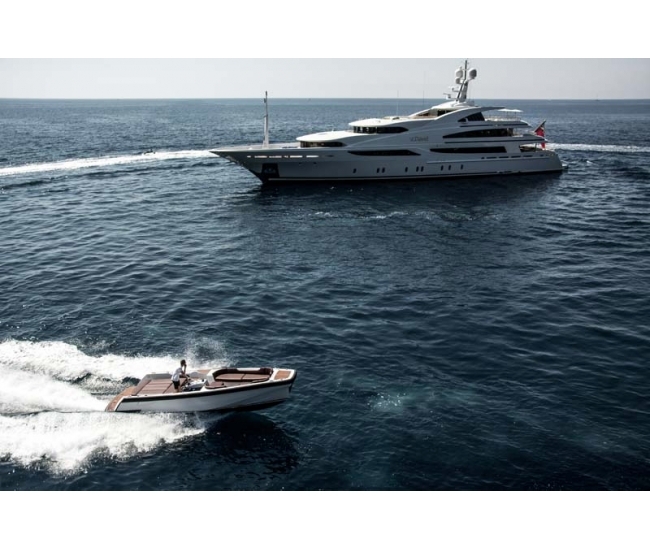 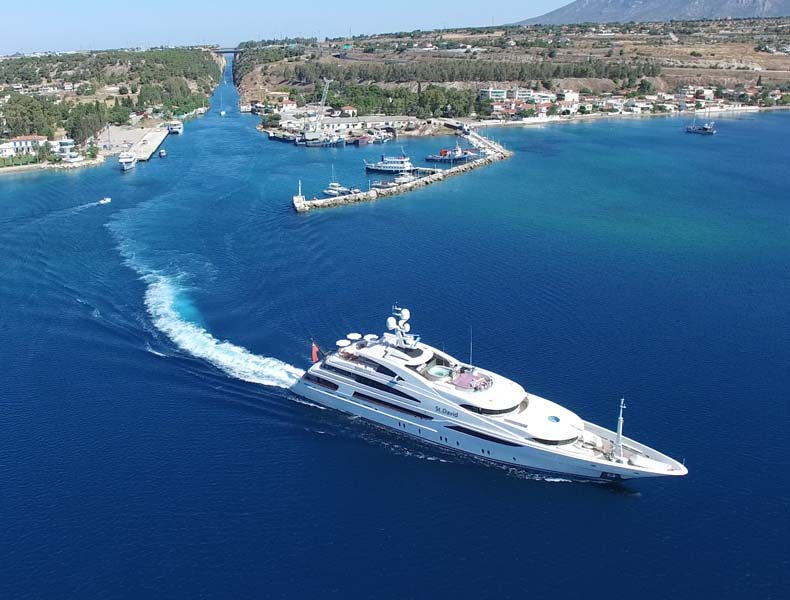 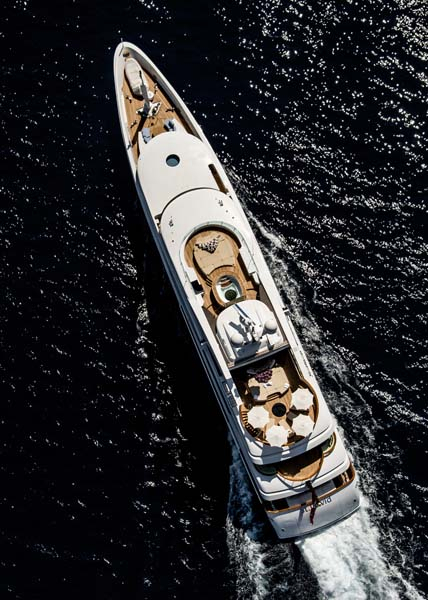 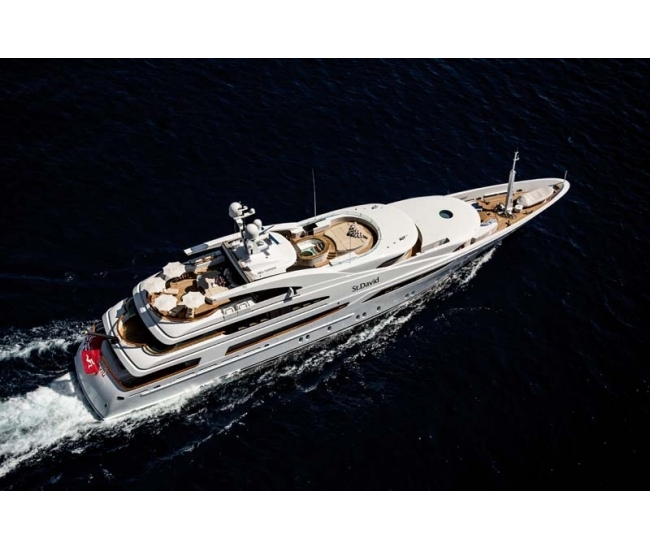 Awarded ‘Best Charter Yacht’ by Robb Report in 2009, she is innovatively styled both inside and out and showcases a study of artisanship in every respect. 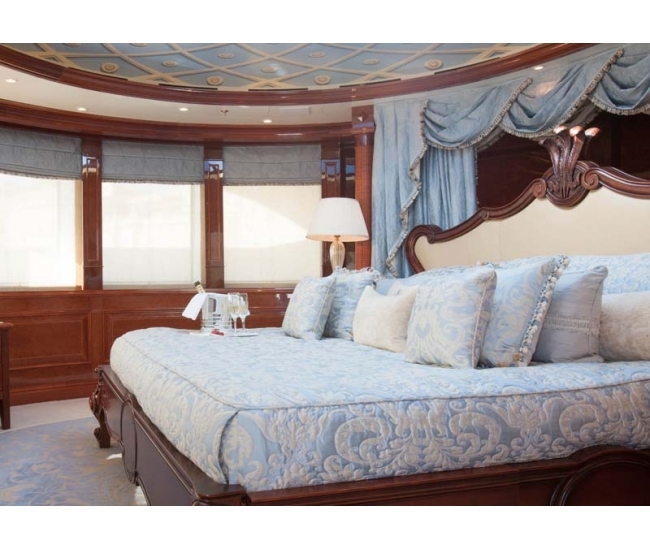 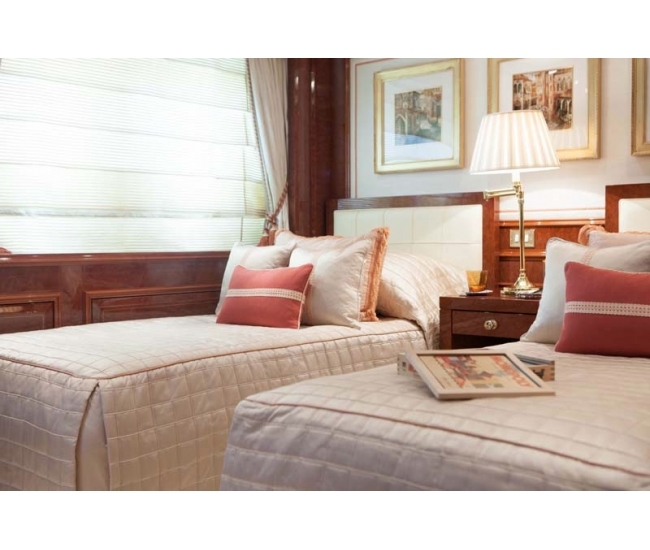 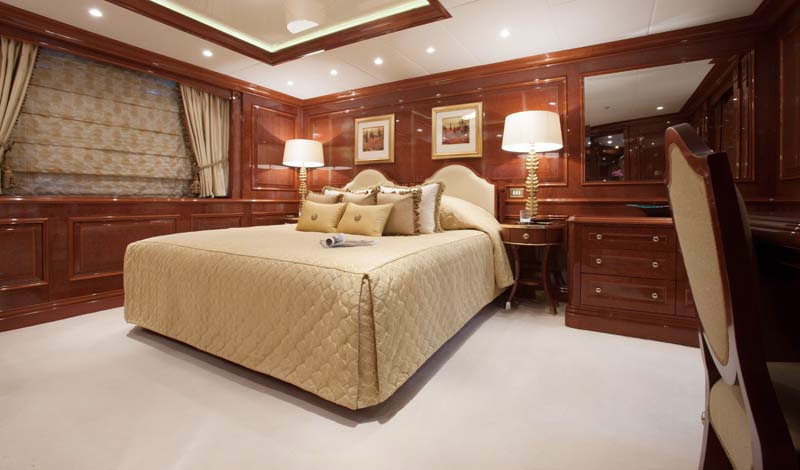 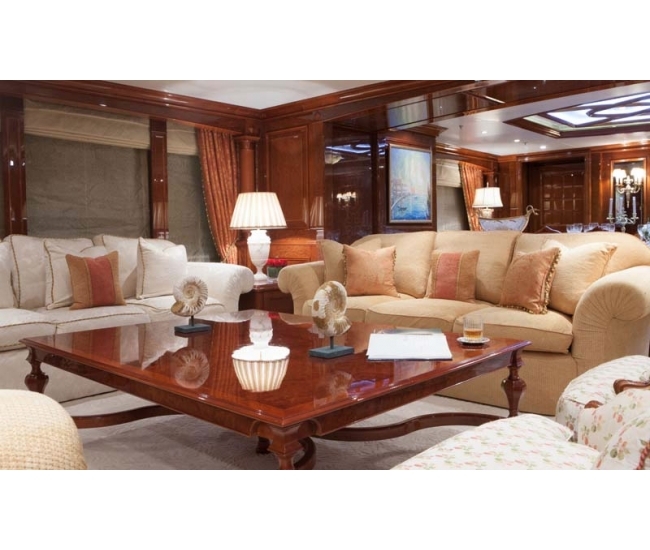 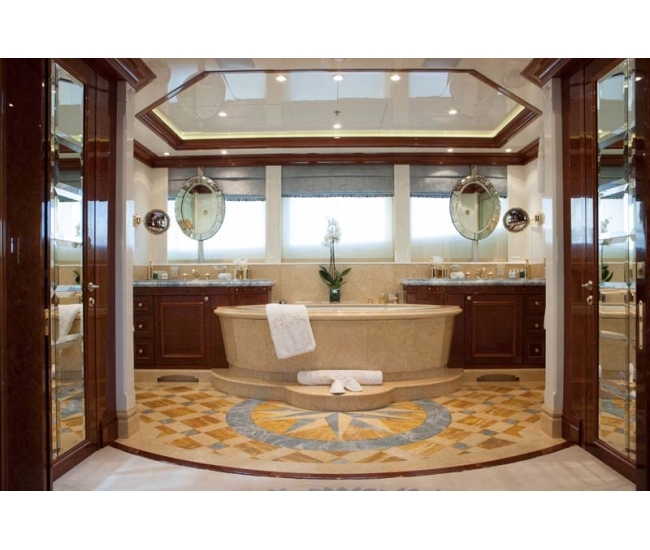 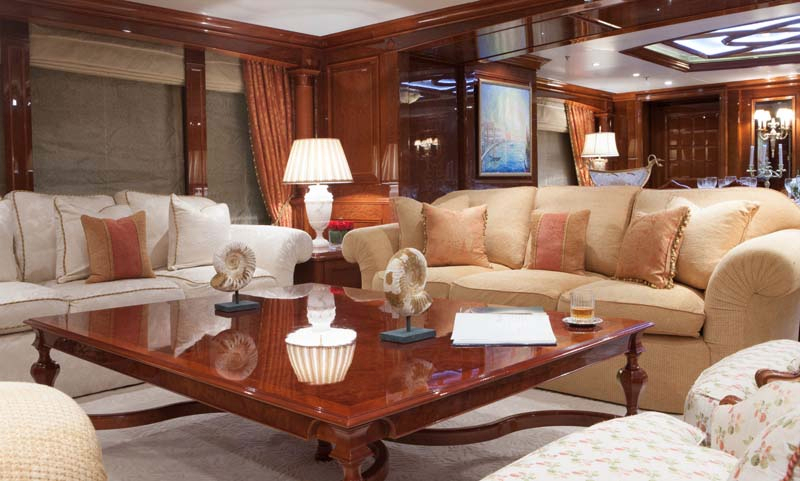 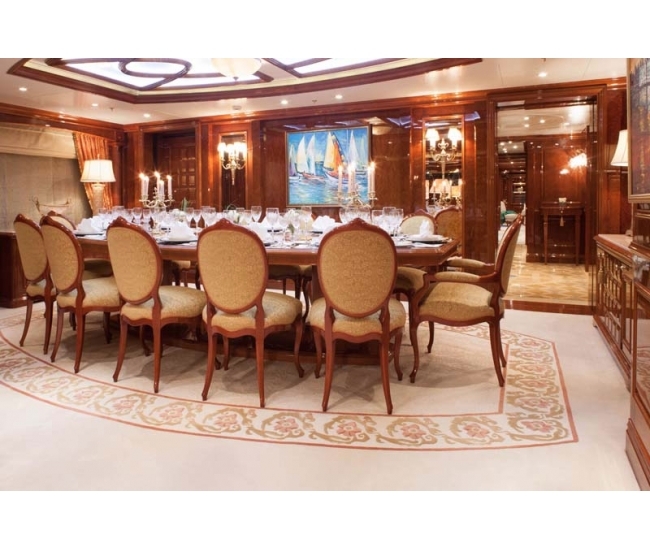 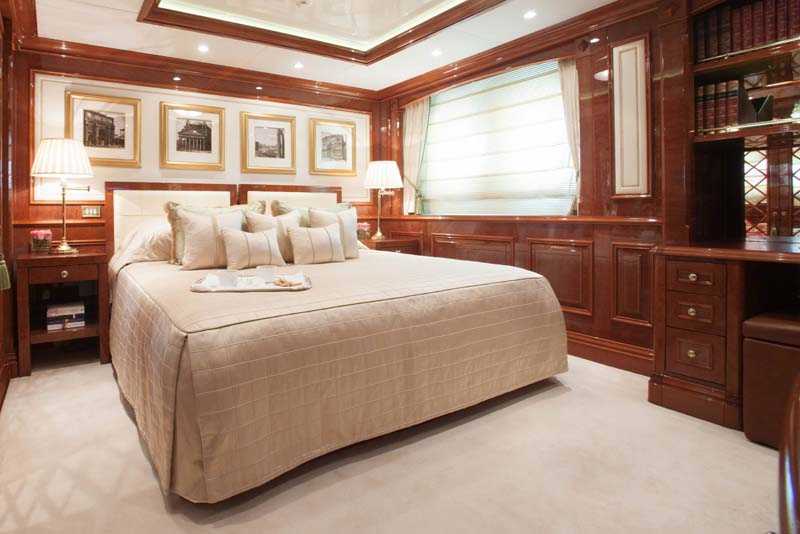 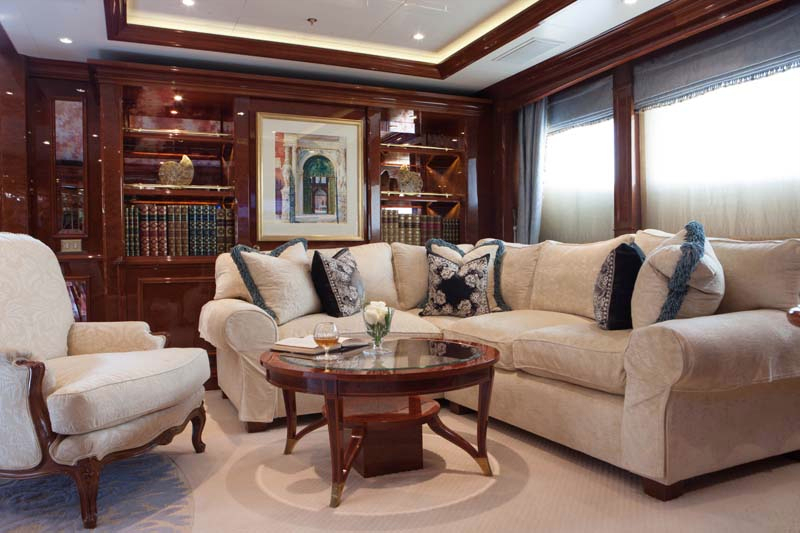 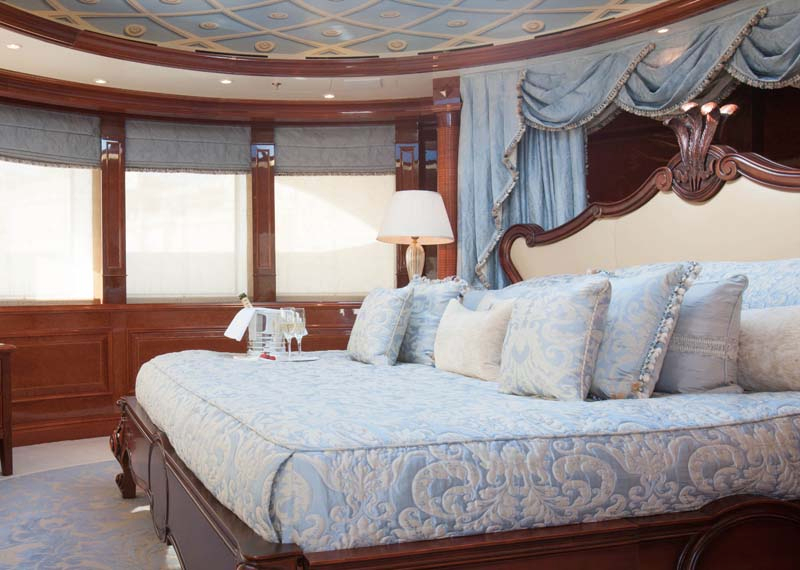 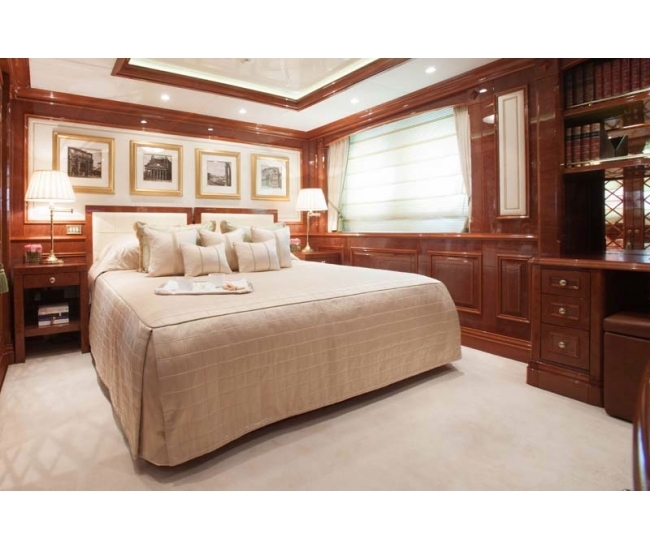 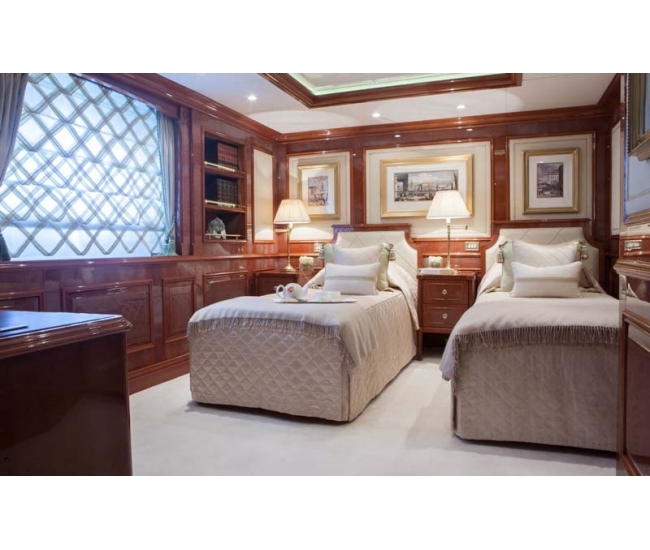 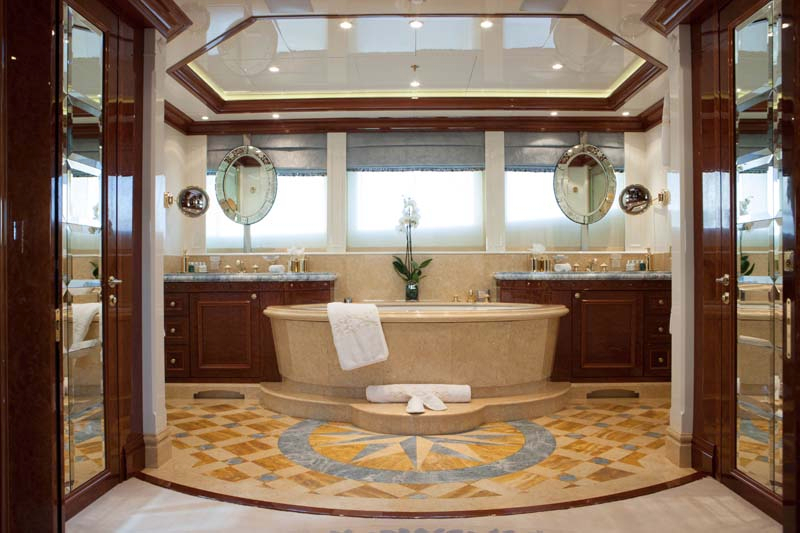 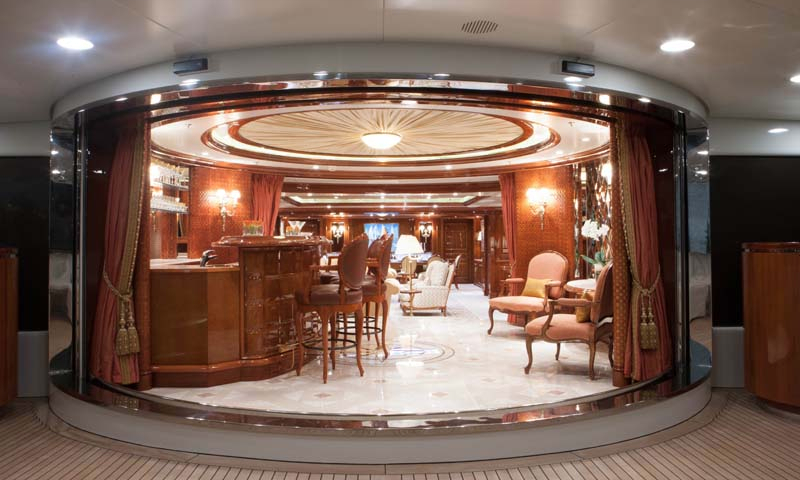 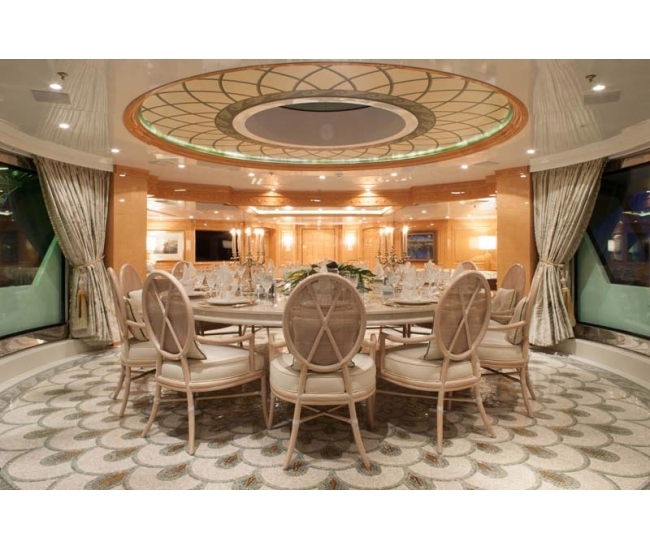 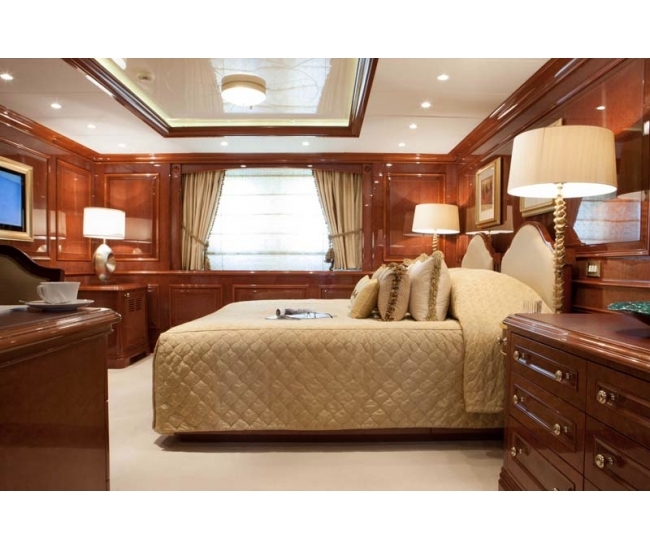 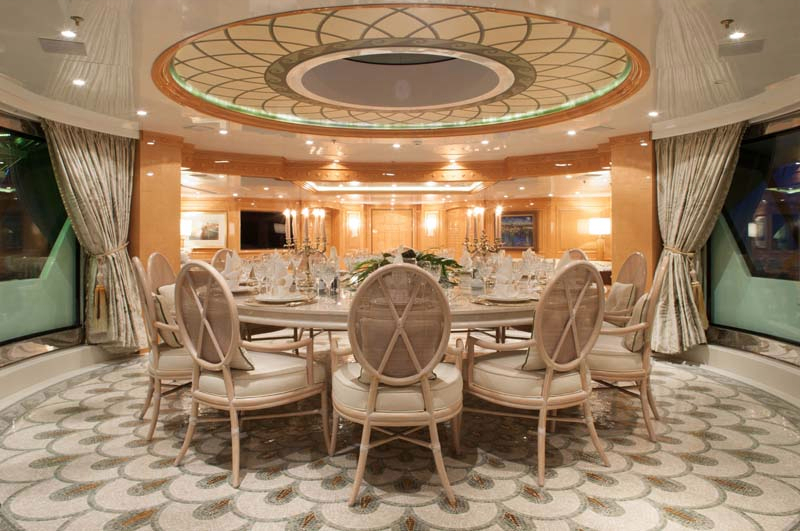 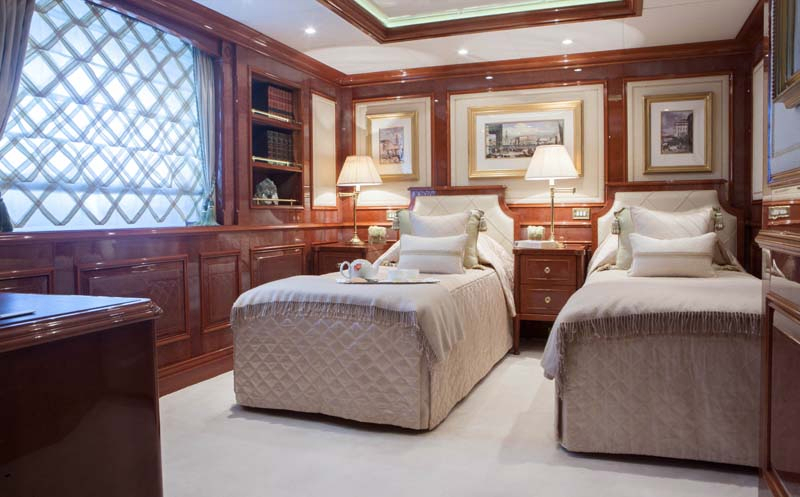 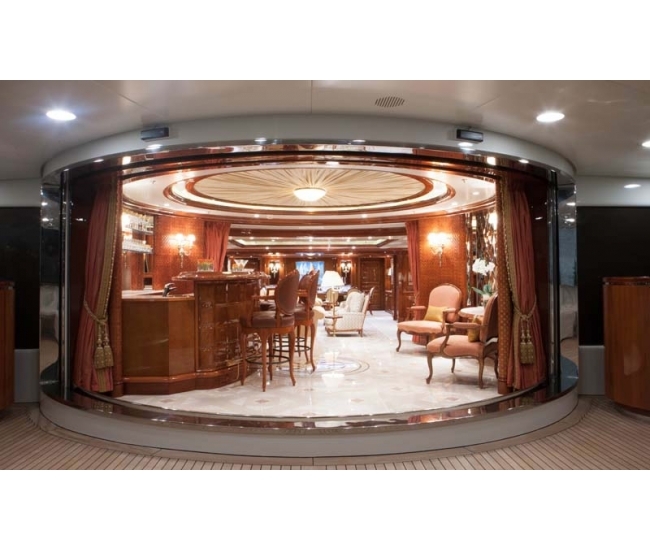 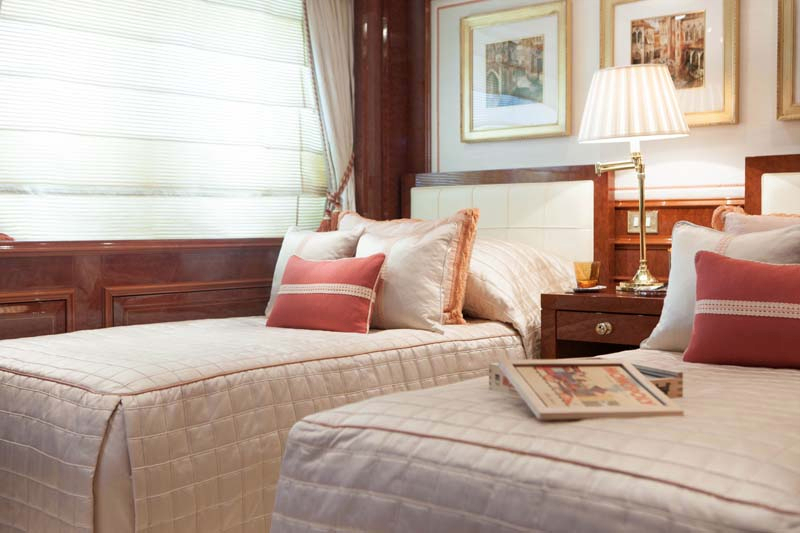 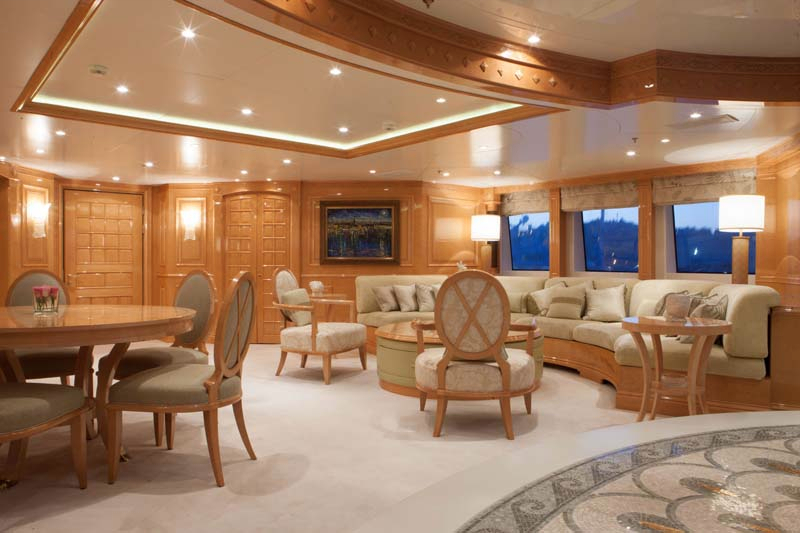 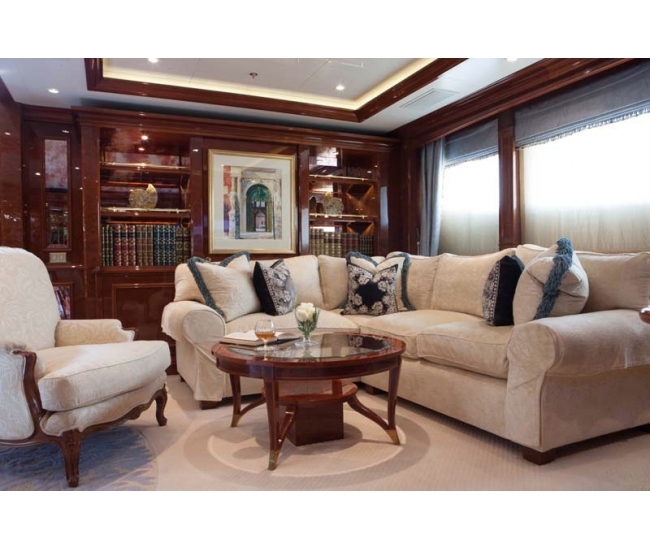 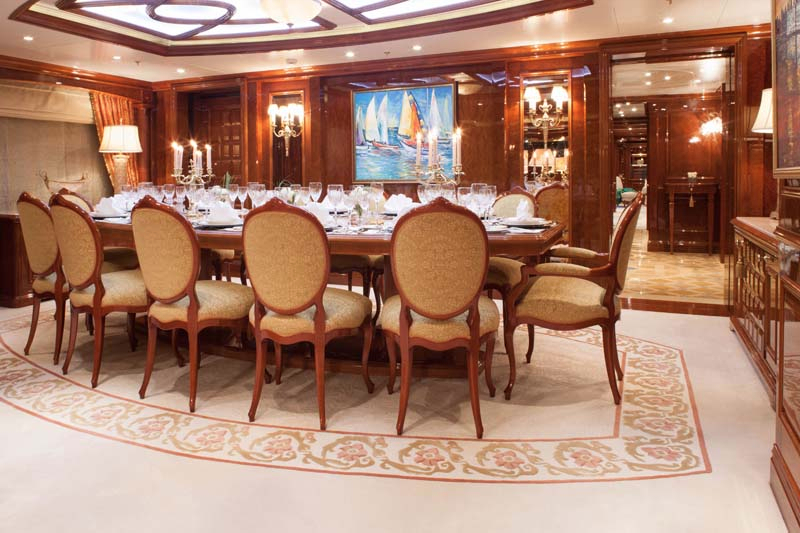 Her opulent interior sleeps up to 12 guests in six impressive staterooms including a magnificent master suite, one VIP stateroom and four doubles. 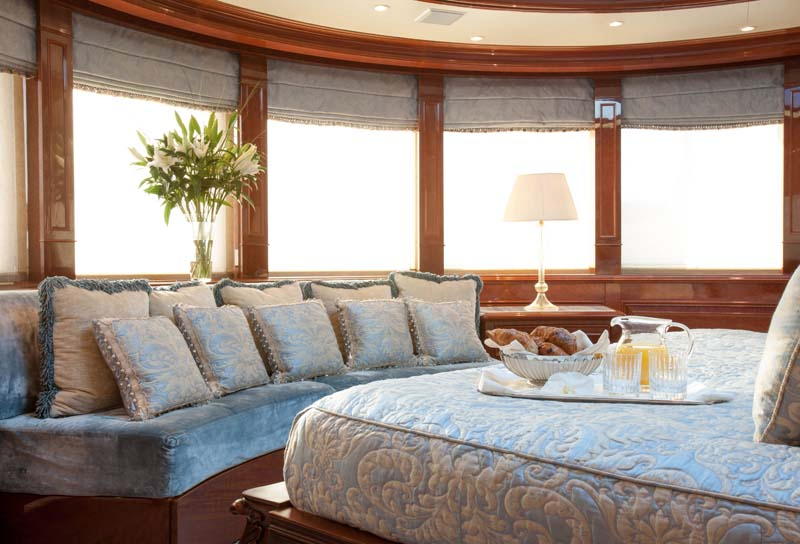 Split over two levels, the master suite features a sumptuous lounge area with bathroom with a raised bedroom for the ultimate in privacy and luxury. 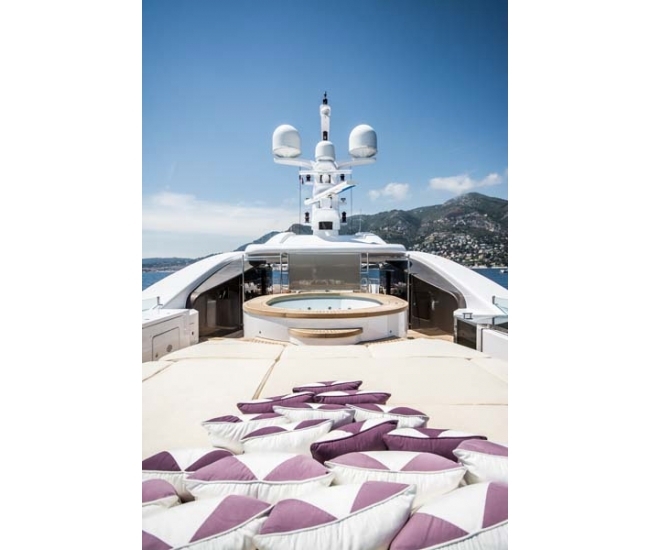 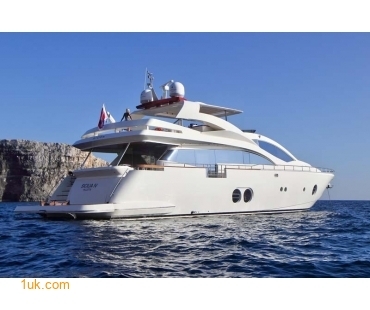 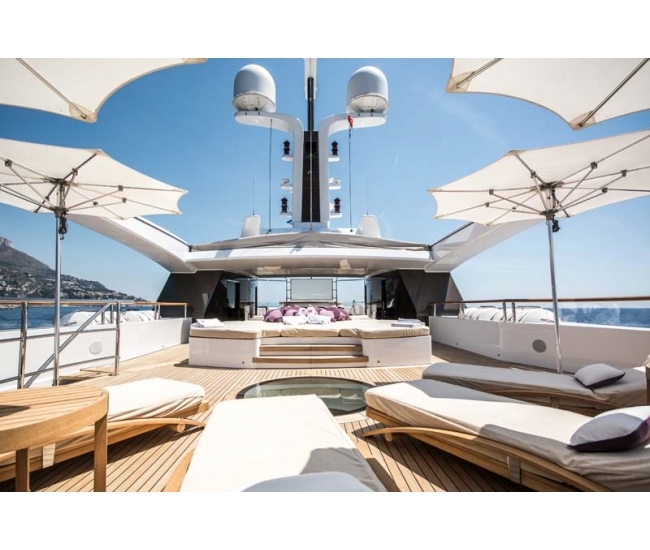 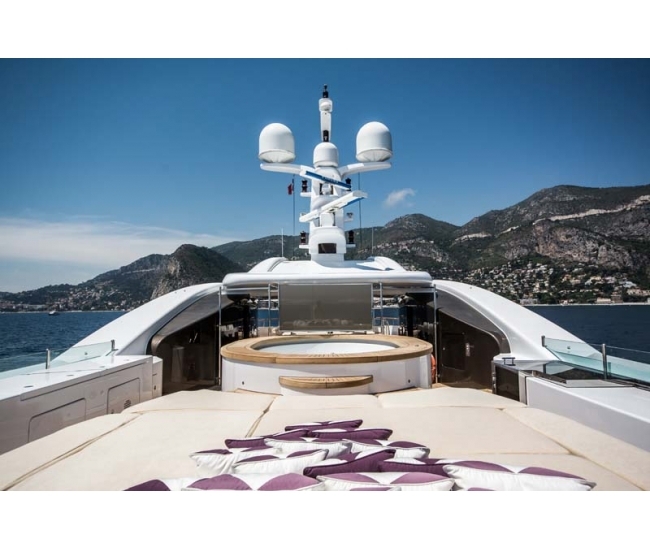 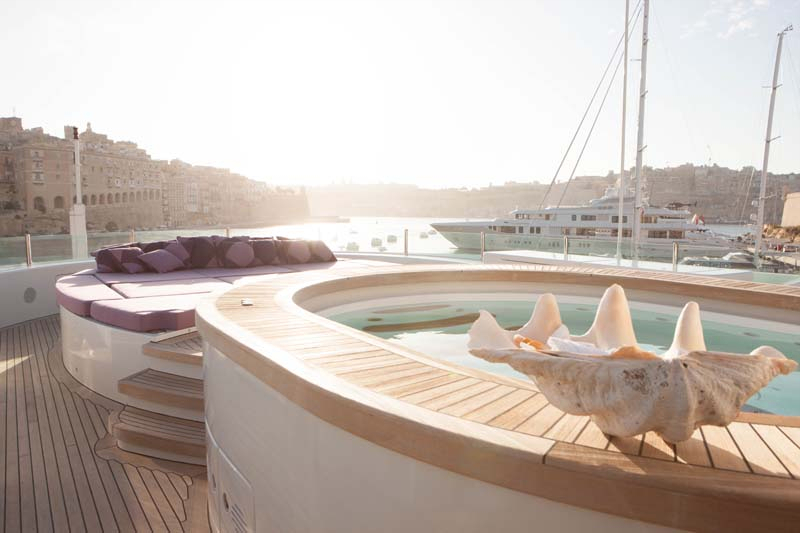 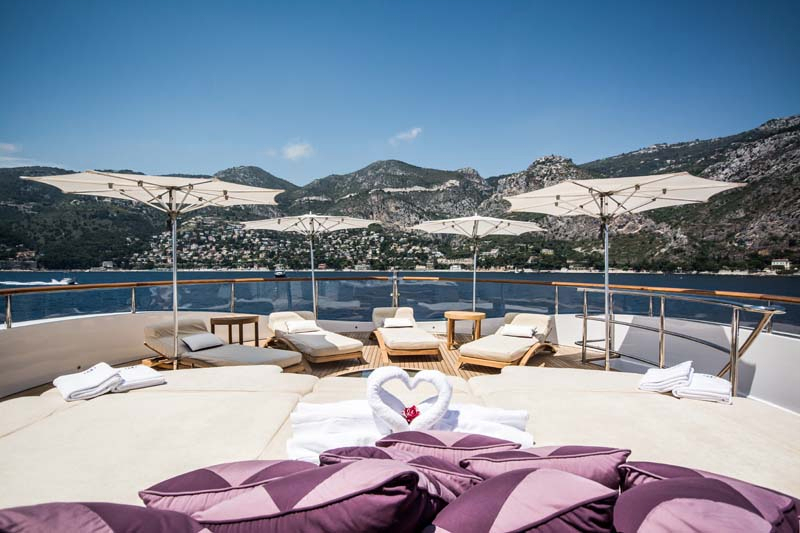 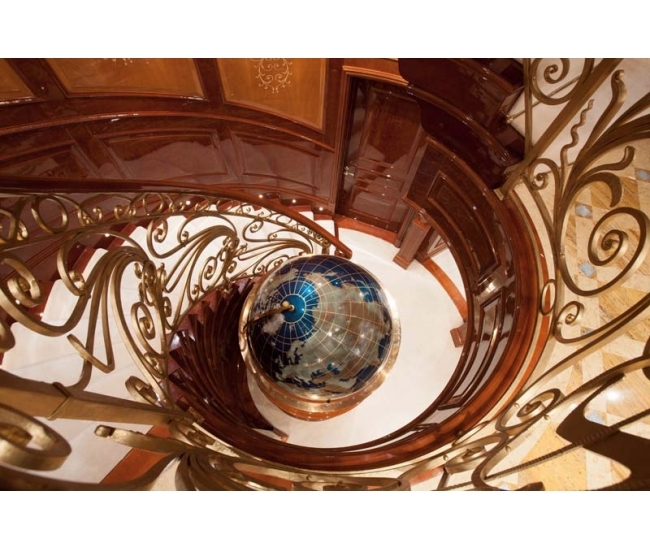 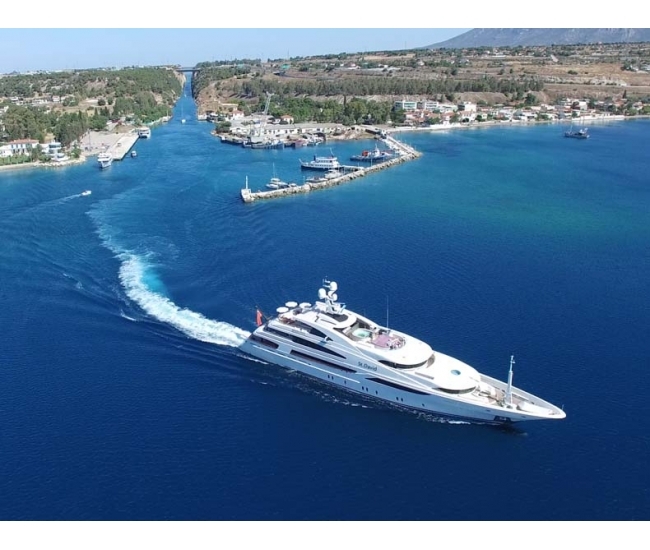 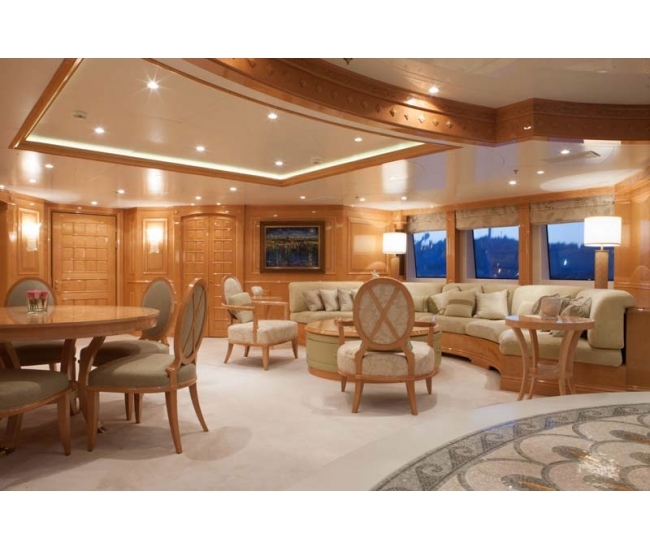 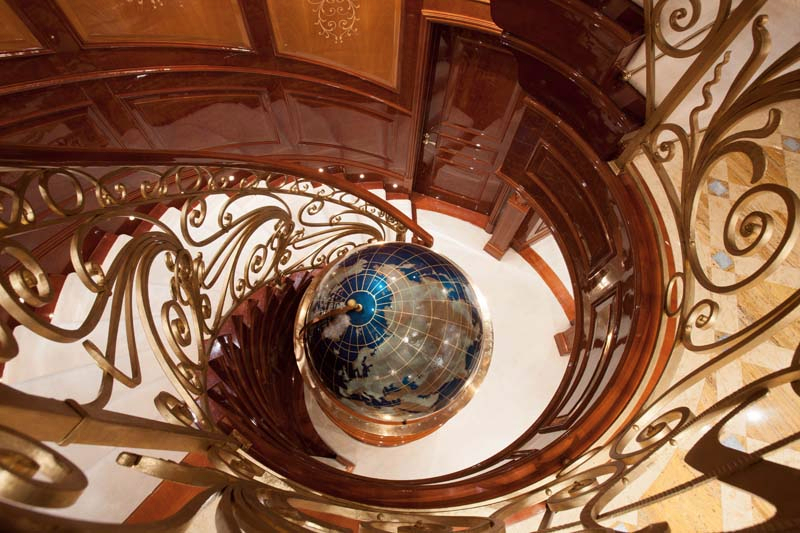 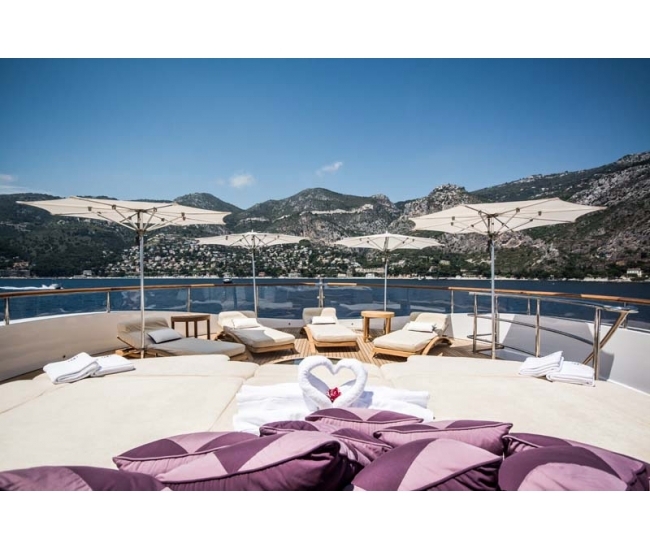 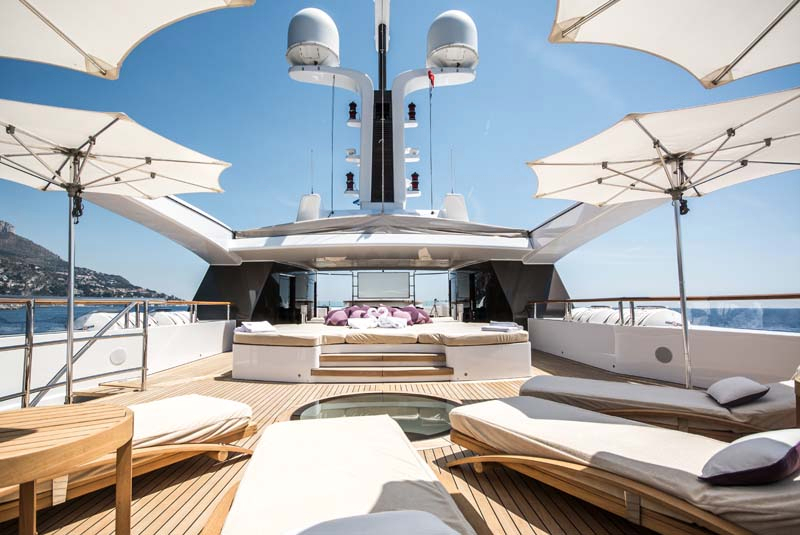 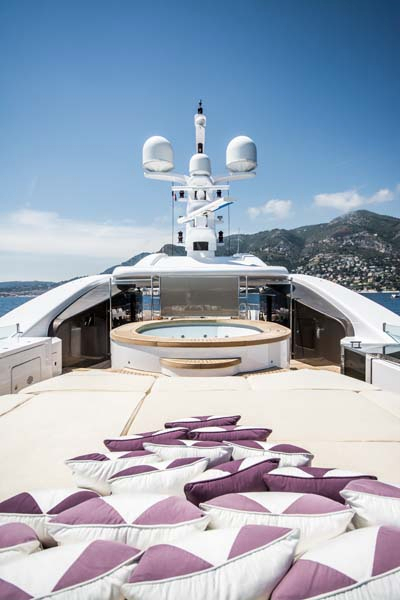 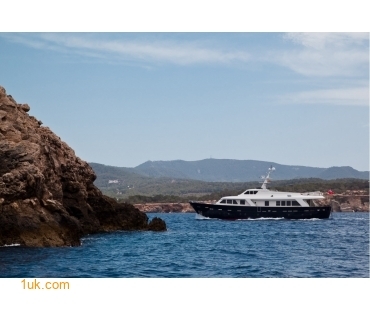 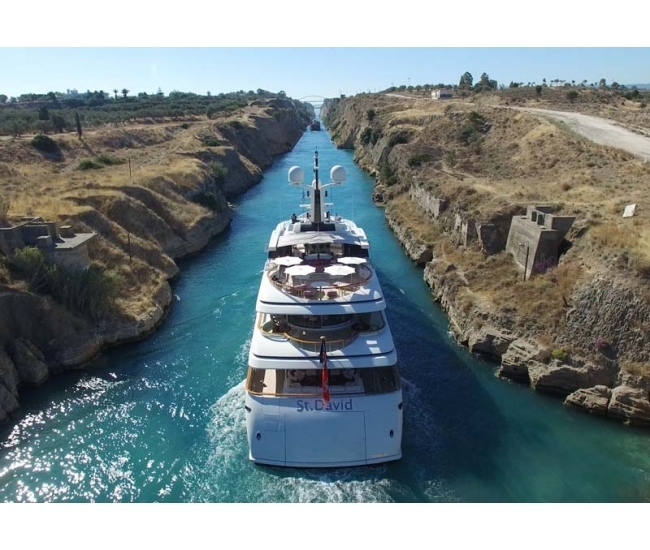 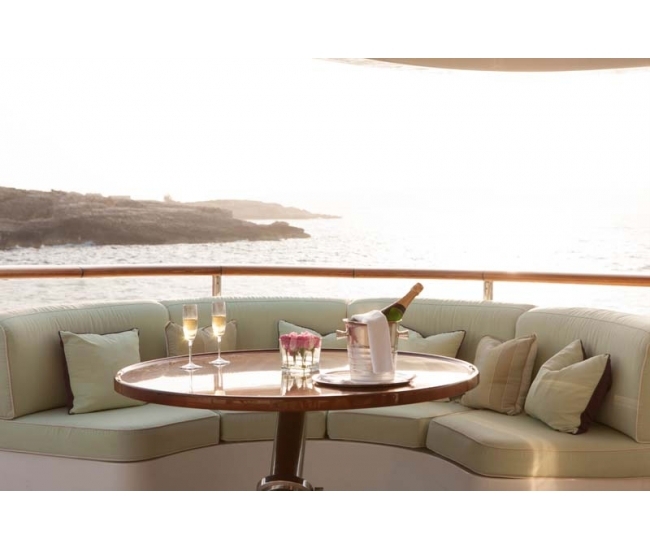 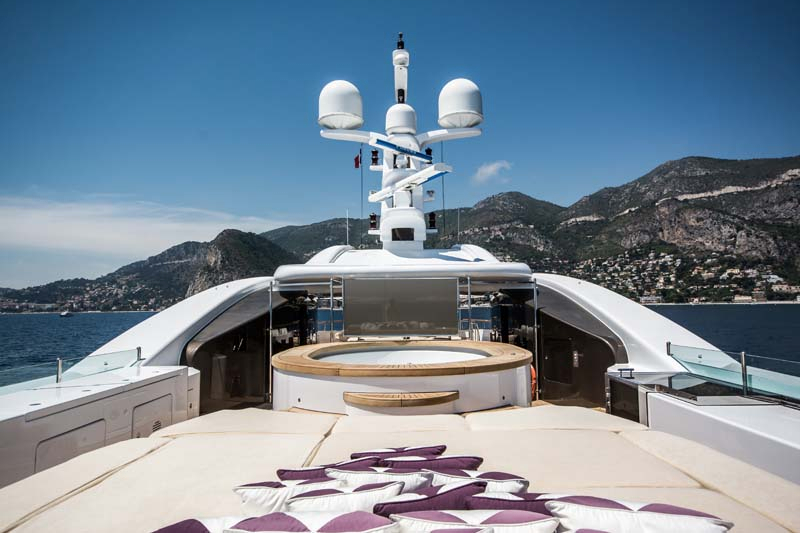 With panoramic views and beautiful staircase she offers a truly unique charter experience. 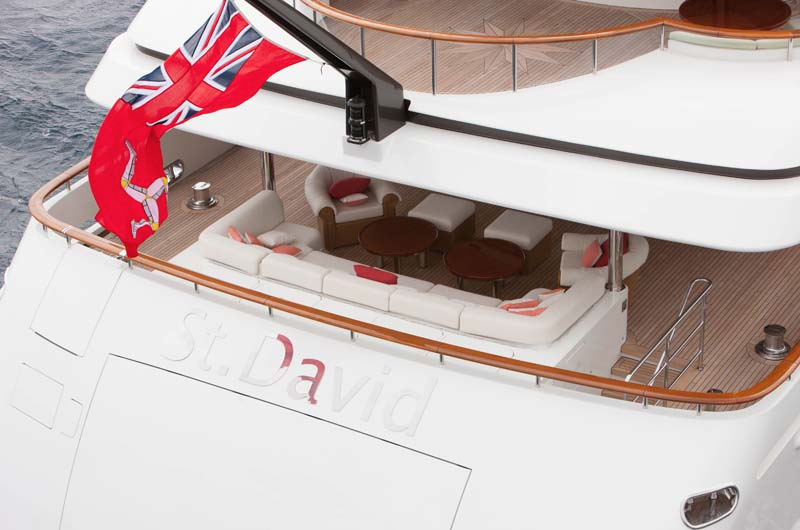 Enquire now to View St David with a view to purchase.